With the highly anticipated meeting between President Trump and Kim Jong Un hours away, Iran has a warning for the North Korean leader: "Stay Vigilant"
Iran's Foreign Ministry is urging Pyongyang to "exercise complete vigilance" when the 34-year-old Kim negotiates with the 71-year-old Real Estate tycoon who literally wrote a book on making deals. Kim Jong-un should watch out for Trump's "America First" agenda and Washington's tendency to "betray international agreements and unilaterally withdraw from them," said a spokesman for Iran's Foreign Ministry, Bahram Qassemi. 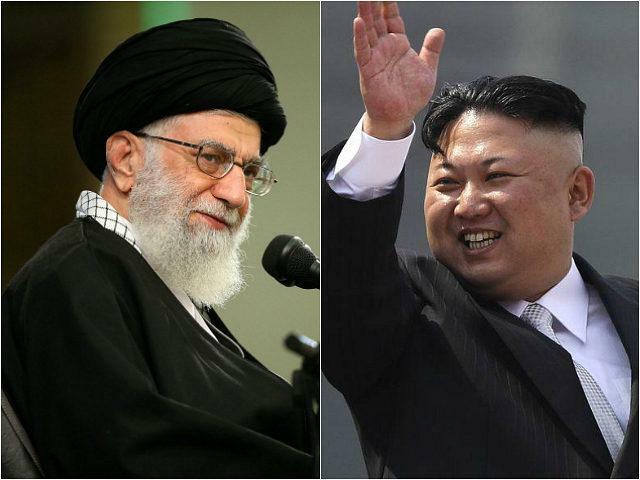 "Tehran believes that the North Korean government should be quite vigilant as the US by nature could not be judged in an optimistic way," Qassemi added. Trump pulled out of the 2015 Iran deal on May 8 - calling it an "unacceptable" and "defective" arrangement. He also pulled out of the 2015 Paris climate deal - and is stoking international tensions over a current trade war that has caused Britain, Germany and France to reassess the transatlantic bond. French Finance Minister Bruno Le Maire wondered if Europe should continue to be "vassals who obey decisions taken by the United States." Trump imposed tariffs on EU steel and aluminum, while Mexico and Canada were hit with similar tariffs on June 1. He refused to endorse the joint communique during the G7 summit in Quebec - calling the hose, Canadian PM Justin Trudeau, "very dishonest and weak." The EU says it will retaliate.